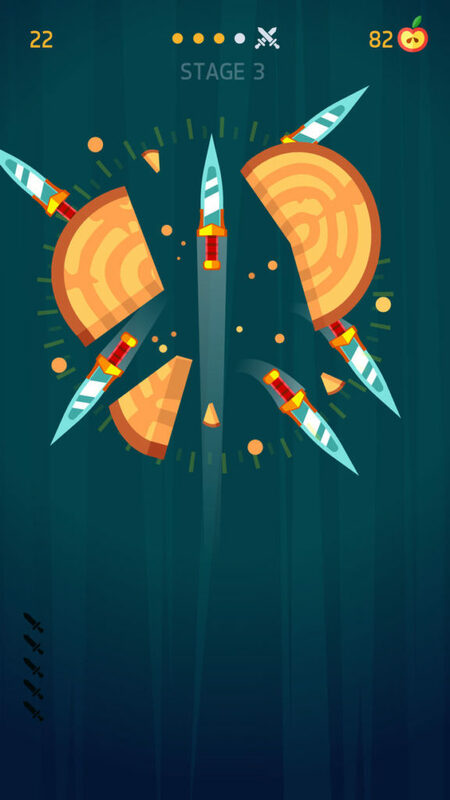 With a similar visual aesthetic to the popular PPAP games we saw plague the App Store and Google Play in late 2016, Knife Hit is a game about throwing knives at rotating logs in order to split them apart. 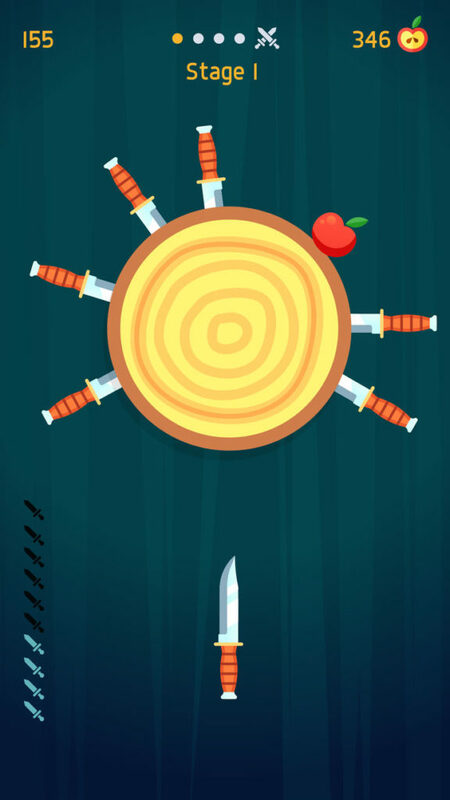 Played by simply touching on the screen of your device in order to throw a knife, Knife Hit looks as though it is fairly simple and easy to play. …until you realize that the trouble isn’t splitting logs. It is getting all the knives to actually fit on the same log…! Starting out fairly simple, your mission in this game mostly consists of trying not to accidentally throw 2 knives in the same place by tapping on the screen of your device too quickly. 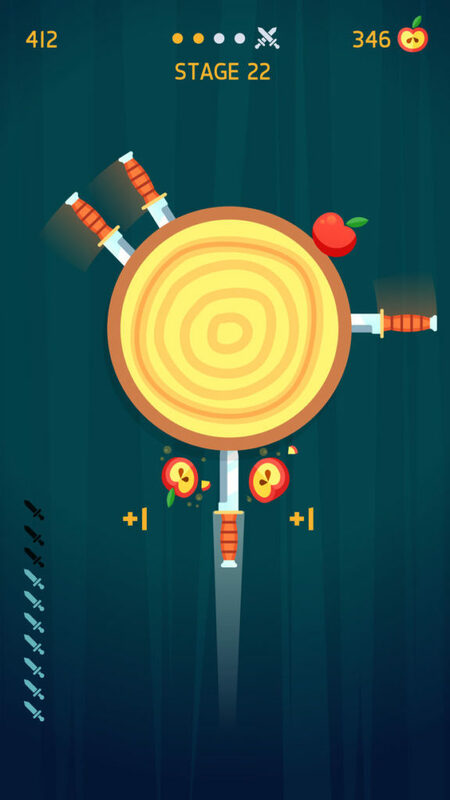 Jump 5 levels forward and your mission has changed from simply controlling how fast you tap, to skillfully throwing knives in between small gaps you wouldn’t have imagined physically possible! Every 5th level is a Boss Battle (i.e. a special battle with something other than a log) that will more often than not give you a new knife! This is great incentive to continue playing the game, even when you die a couple of times in a row trying to get to that 5th boss battle. 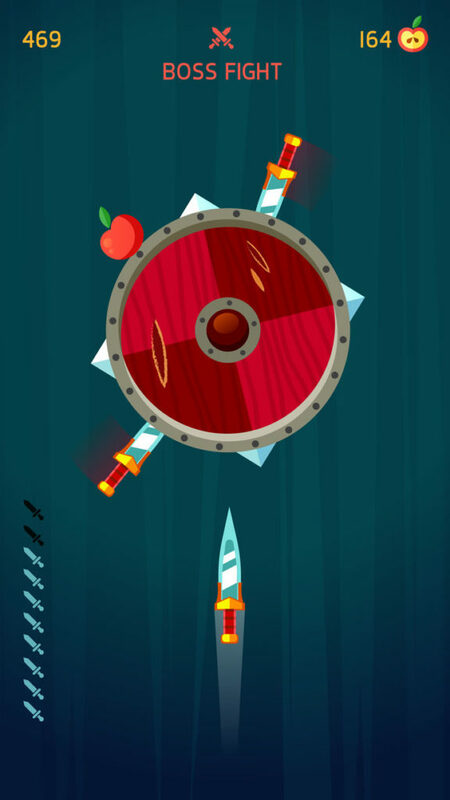 With not too many Ads, plenty of knives for you to collect (you won’t be running out of knives to unlock anytime soon…), and hopefully an awesome developer interview just around the corner, Knife Hit is yet another fun knife throwing game for your smartphone! Knife Hit isn’t exactly your average Ketchapp game. 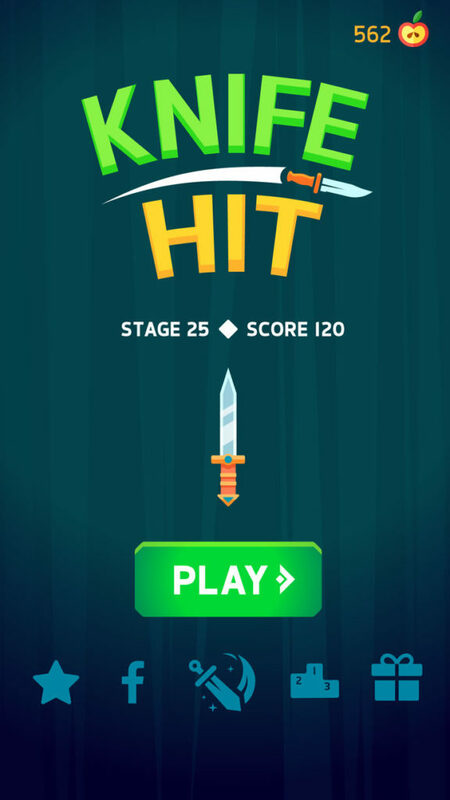 Featuring a user-friendly gameplay system that may actually be more addictive than the actual game itself, Knife Hit is a game that makes us excited to see how the games published by Ketchapp (and Voodoo) will change and evolve over the next 6-12 months.